Le Spectrum Club Montréal had just been turned over and reopened as Le Spectrum, and what better than a punk rock show to help with the launch? 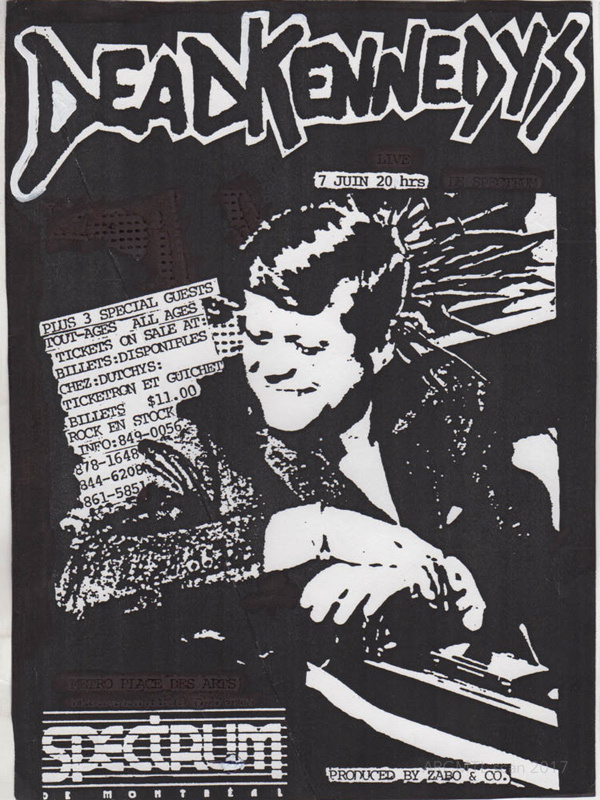 The Dead Kennedys had just released Plastic Surgery Disasters only 8 months prior, and were ready to show it off. Joining them were D.O.A., who had previously released an album under Alternative Tentacles, Jello Biafra’s record label, as well as S.C.U.M. and Unruled.